You have booked a trip to New Zealand? Great! I am happy for you. Now it is time to prepare and later on pack. Here is little guide to help you get ready for your trip to New Zealand. Enjoy your trip! Want to see ﻿﻿more﻿ ﻿of﻿﻿ ﻿NEW ZEALAND﻿? Iceland is way bigger than most people imagine. Be careful to plan enough time. 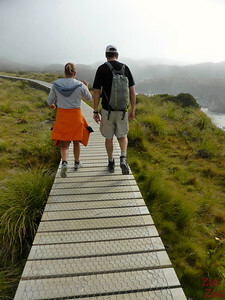 To help getting your tour ready, check out my post about planning your trip to New Zealand. Well, this one is easy, they do speak English! Use my Travel checklist to not forget anything! New Zealand is magical. You can’t help but take hundreds of pictures of the same things. It is THAT beautiful. Visa: don't forget to check if you need a visa! Want to see more of NEW ZEALAND? Discover more things to do with planning information and photos in my online ﻿New Zealand Travel Guide.